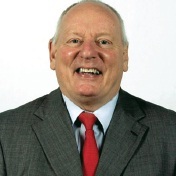 News that Jeff Dudgeon has been awarded an MBE in the Queen’s New Year Honours List for services to Lesbian, Gay, Bisexual and Transgender Community in Northern Ireland is extremely positive, significant and symbolic. I feel a great sense of joy that Jeff will soon become a Member of the Most Excellent Order of the British Empire (MBE). Whilst long overdue it’s a perfect end to 2011. Jeff will now be honoured by the state after previously facing criminalisation simply due to his sexual orientation. Jeff courageously and successfully brought a case to European Court of Human Rights in 1981 and achieved decriminalisation of male homosexuality in Northern Ireland. Until the UK Government changed the law in 1982 (following Jeff’s successful case) gay men in Northern Ireland faced arrest, prosecution and imprisonment. Jeff was personally subject to the discriminatory law which outlawed male homosexuality when his home was raided at dawn in the 1970s. He was taken into custody for questioning and all his papers and letters were seized. The authorities were so intent on prosecuting that the Director of Public Prosecutions, in early 1977, carefully made detailed preparations – twenty-two sets of charge papers were prepared and sent to the Police for alleged acts which could not be prosecuted in England & Wales and would not be prosecuted in Scotland. It was only the highly-unusual move by the Attorney General in London of vetoing the idea that these prosecutions did not take place. Following his successful court case Jeff has continued to diligently work for the Lesbian, Gay, Bisexual and Trans community on a wide range of issues. He remained involved with many organisations such as Northern Ireland Gay Rights Association and Cara Friend and has campaigned on issues such as, for example, equalisation of the Age of Consent and liaison with the Police concerning treatment of LGBT people. Jeff is also an accomplished author with specialised interest in Roger Casement and remains involved in local politics having previously worked for Robert McCartney QC MP. Jeff often speaks about his case at events across the globe with the ground breaking case law set by Jeff in Dudgeon v UK since cited in other cases and jurisdictions including Lawrence v. Texas in the Supreme Court of the United States of America. This honour finally demonstrates recognition by the state of the positive contribution Jeff has made which now allows people to live in a more equal society where diversity is increasingly viewed as a strength rather than a weakness or, even worse, criminalised.